The Things Indoor Gateway(TTIG) is designed to be a fully compliant, ultra low-cost LoRaWAN gateway, with WiFi as the backhaul. The gateway comes with a wall plug, and can be powered over USB-C on 900mA, making the gateway even suitable for applications that require dynamic coverage. An 8 channel LoRaWAN indoor gateway at a price of $69. One of the first gateways to support the state-of-the-art BasicStation Protocol. Simple setup steps taking lesser than 5 mins. Can connect to any network backend of choice. Setup and Connectivity over WiFi. Can be powered up via a USB-C cable or via an elegant connector to the power outlet. Built-in omnidirectional antenna for indoor use. EU868, US915, AS923 and CN470 versions available. Security via a range of modes. Press the reset button (small button at the back of the gateway next to the USB-C port) for 5 seconds until the LED blinks rapidly GREEN<->RED for a couple of times. Hold the SETUP (button at the top of the gateway, next to the LED) for 10 seconds until the LED blinks rapidly in RED. The gateway now exposes a WiFi AP whose SSID is MINIHUB-xxxxxx where xxxxxx is the last 6 digits of the gateway ID. The password for this network is printed on the back panel of the device under WiFi PW. After connecting to this network go to 192.168.4.1 using a web browser to access the WiFi config page. Select the WiFi network and enter the password if it’s a closed network. Select the “Save and Reboot” option. The gateway will blink GREEN for a few seconds while it connects to this network. Then, it will blink GREEN<->RED for a few seconds while it connects to the CUPS endpoint and fetches the necessary information to connect to the LNS traffic endpoint. If your configuration was successful, the LED will be solid GREEN which means that the gateway is connected to the LoRaWAN network and is ready to handle packets. To connect this gateway to the The Things Network console, register the gateway using the I’m using the Legacy Packet Forwarder option. The EUI of the gateway is NOT the WiFi MAC address printed on the back of the gateway but is derived from the first number on the top of the sticker below the QR code. This is the value to be entered in the Gateway ID field on the console. Enter in other details such as location, frequency plan and router. If your configuration was successful, you should start receiving packets (if there are LoRaWAN nodes transmitting nearby). In this mode, the device acts as a WiFi AP to which users can connect and configure a WiFi network(s) to which the gateway will connect to during normal operation. The device cannot route LoRaWAN packets in this mode. 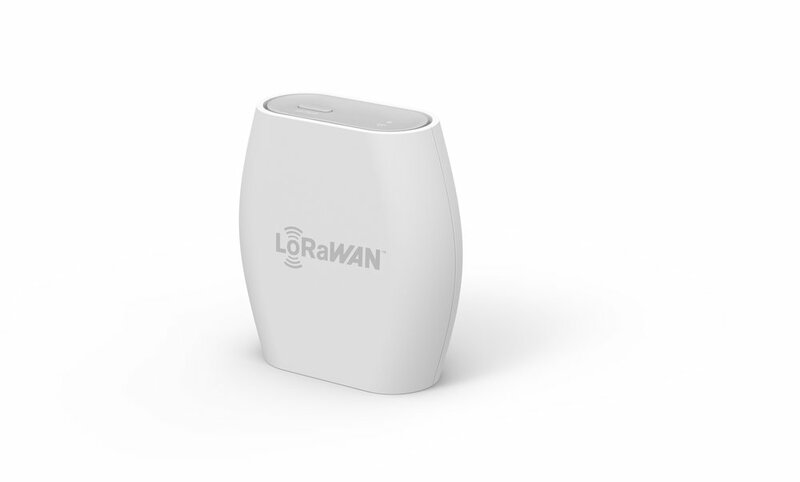 In this mode, the device acts as a gateway to route traffic between the LoRaWAN Device and the Network. The WiFi AP for configuration is not available in this mode. Switch to CONF mode if in GW mode. Reboot if in CONF mode, do nothing in GW mode. Factory reset (wipe out WiFi and LNS credentials, though CUPS credentials are retained).